VALLE DE ANGELES, Honduras — An agronomist places traps in a wooded area on the outskirts of Tegucigalpa to monitor the return of an insect that years ago destroyed large areas of pine forests. Its appearance was due to a drought caused by El Niño, a phenomenon that once again threatens agriculture and drinking water sources in Central America. Last January, President Juan Orlando Hernández warned of a resurgence of the so-called weevil, whose scientific name is Dendroctonus frontalis, which between 2013 and 2017 destroyed 511,000 of the 1.9 million hectares of Honduran conifers. The destructive weevil has reappeared at a time when Central America is facing a severe drought that causes crop losses and drastic rationing of water for human consumption, which may be exacerbated by the El Niño climate phenomenon. The El Niño phenomenon aggravates drought conditions in the Central American Dry Corridor, which extends from northwest Costa Rica along the Pacific coast to Guatemala. The environmentalist Ricardo Navarro, from the Salvadoran Center for Appropriate Technology, explains that projections indicate that El Niño will be a “moderate child” although he urged countries to prepare because the phenomenon will affect farmers in the region. El Salvador is still recovering from the drought of 2018, which, according to a study by the Agricultural Economics Department, ruined 20,303 hectares of land that produced 2.1 million quintals of corn, which represented 13.35 percent of the expected production in the first sowing. In Guatemala so far this year, there have been reports of losses of corn and beans “due to lack of rain” that have affected 894 families in six municipalities of the northern department of Petén, bordering Mexico and Belize, according to his minister of Agriculture, Livestock and Food, Mario Méndez. The official announced a strategy to minimize the impact on 291,725 ​​families of poor farmers in Guatemala due to a possible shortage of water during 2019. For its part, Honduras is suffering water shortages in some areas, including in the capital region, where there is only availability every four days. Many citizens, especially in areas of greater poverty, are forced to buy water from tankers due to the lack of water supply. As in other countries, the bulk of basic grain crops such as corn and beans begins in Honduras in May, with the first rains of the season extending into November. Nicaragua also reported being impacted by the drought that in 2018 caused losses in agriculture and livestock. In Costa Rica, farmers in the north warned that the production of tubers and fruits is at risk and the country may have to import rice due to the decrease in the planting area. 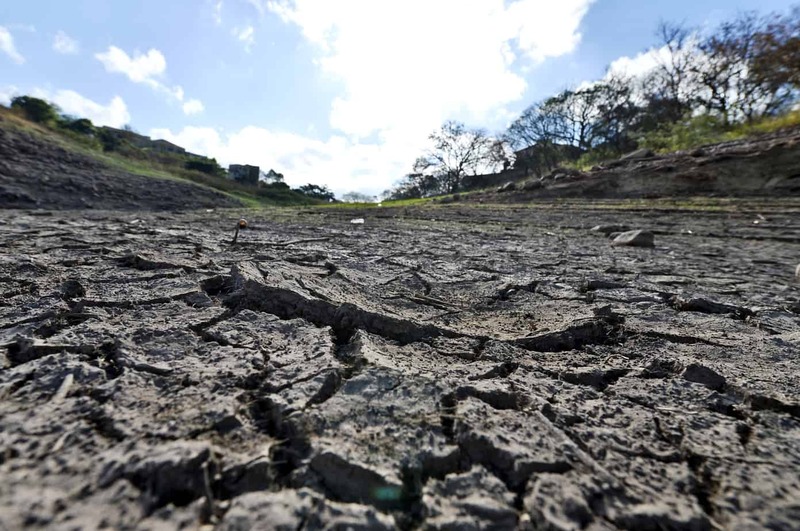 Nearly 300,000 Costa Ricans have water shortages and that number could increase, according to Alex Solis, head of the National Emergency Commission, which coordinates a committee to address the climate phenomenon. The Agriculture and Livestock Ministry (MAG) of Costa Rica also fears the reappearance of pests that affect fruit crops which have already appeared in other parts of Central America. Such pests are a product of the increase in temperatures, according to experts. This is the case of the pine-destroying weevil insect in Honduras: it increases its presence during droughts, and prevention consists of cutting the infected pine to contain its spread, according to Cristel Castro. The Honduran expert believes that weevil larvae have been detected in time in isolated pines on 31 hectares, which have been quarantined to prevent further destruction. “The most unfortunate thing is that the phenomena of climate change impacts the Central Americans without environmental education, because they do not take the effects seriously despite the millions in losses we have almost every year,” Navarro said.